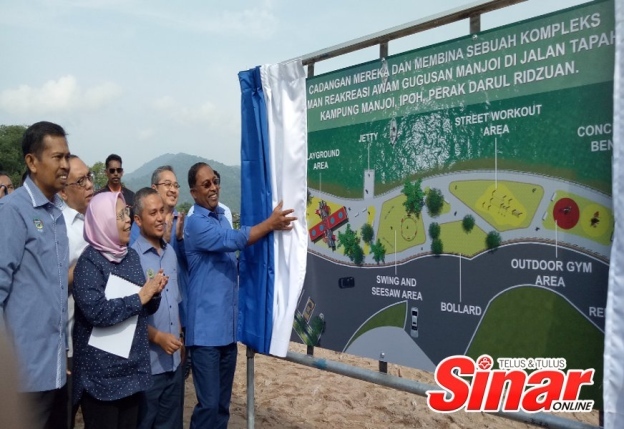 IPOH, 22 FEBRUARY 2018 - Public Recreation Park Complex of Gugusan Manjoi, which cost RM500,000 and is approximately 2.4 hectares will be completed by next April. 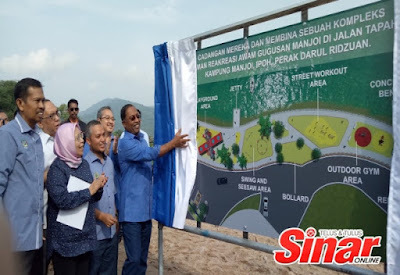 YB Ahli Dewan Undangan Negeri (ADUN) Manjoi, Haji Mohamad Ziad Bin Mohamed Zainal Abidin said, the first phase involves the construction of the complex began last week, focusing on the the physical structure demolition and cleanup of the area. 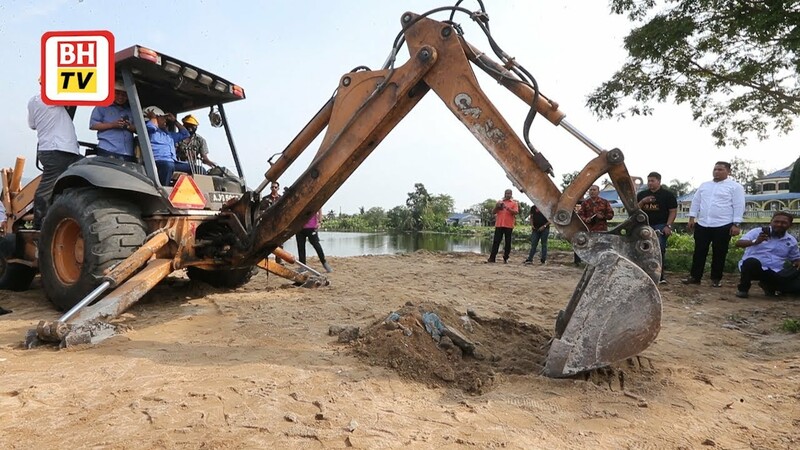 "We have started since the beginning of last week where the cleanup work focused on the demolition of a dilapidated building and a wooded area there. "Alhamdulillah, everything went smoothly and after this we will focus on the construction of the complex, which is expected to be completed by April," he said when met at the groundbreaking ceremony Mini Stadium of Sungai Tapah. Also present were Menteri Besar, Dato’ Seri DiRaja Dr. Zambry Bin Abd. Kadir and YB Ahli Dewan Undangan Negeri (ADUN) Hulu Kinta, Dato’ Amiruddin Bin Haji Md Hanapiah. He said the complex would be equipped with facilities such as a jogging track, a jetty, children's playground area, reflexology and so on. "What's unique is this recreational park suitable for all ages in which equipment, such as swings and see-saw which are children's play thing, can also be used by adults for recreational purposes," he said. The chief of Tambun Umno Youth also pointed out that maintenance of the complex will be under the jurisdiction of the Ipoh City Council (MBI). "This is because MBI has been the owner of the area, after Kinta District Land Office gave their approval to gazette the area as a development area," he said. In a related development, he believes that the complex will benefit 30,000 people living in Manjoi to carry out a variety of healthy activities in the area. "Construction of the complex was also made after our dialogue with most of the people here, and most agreed for the construction as previously it was only a place for immoral activities," he said.